Ideally, cleaning operating rooms should keep present microorganisms to an irreducible minimum, protecting the health and safety of everyone in the operating suite. After all, contaminants can enter the room via the patient, medical staff, and inanimate objects; even the air can contain microbial-laden dust, lint, skin squames, or respiratory droplets. How do you achieve the minimal amount of contaminants in the room? By following protocols regarding the traffic in the room, clothing worn by patients and staff, air ventilation systems, and, most importantly, preoperative and postoperative cleaning. 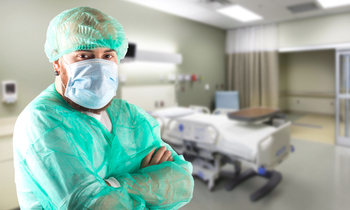 Here are some of the best practices you should remember prior to cleaning operating rooms. A multidisciplinary team consisting of the perioperative leader, infection preventionist, environmental services leaders, infectious disease and facilities personnel should be established. These are the people who will set guidelines for cleaning and disinfecting the perioperative areas. There should be protocols in place to establish who is responsible for cleaning different areas and equipment in the OR suite, how they are to be cleaned, and how often that needs to take place, along with any special notes. These procedures should be reviewed annually and updated as needed. Cleaning of the OR suite should occur before and after each case and at the end of the day. Walls and ceilings should be cleaned on a regularly scheduled basis (unless they are visibly soiled, in which case, they need to be cleaned after a case is completed). Cleaning solutions should be used properly and according to manufacturer directions to avoid injury and damage to surfaces and items in the OR suite. Cleaning directions on equipment should be followed as well. Environmental Protection Agency (EPA)-registered tuberculocidal disinfectants (i.e., intermediate-level disinfectants) should be used in accordance with proper cleaning and disinfecting procedures for cleaning and disinfecting all surfaces and equipment above the floor. Low-level disinfectants can be used to clean and disinfect floors and certain other items and areas outside the surgical environment. Some transmission-based precaution rooms may require multiple cleanings to thoroughly process the room. OR suites in which transmission-based precautions are in effect should be cleaned and disinfected with an EPA-registered tuberculocidal disinfectant and in accordance with facility-established procedures. In suites where Clostridium difficile is present or suspected, an EPA-registered sporicidal disinfectant should be used because of the potential presence of spores and because C. difficile spores can survive in the environment for as long as five months. All cleaning should be done wearing gloves and with proper cleaning agents that are followed according to the manufacturer’s directions. All horizontal surfaces in the area should be damp-wiped with an approved cleaning agent before the first case of the day. This removes dust, debris and potentially harmful particles that have settled on surfaces since they were last disinfected. Floors need to be disinfected up to five feet around the procedural table (and where there has been visible soling) between patients. If possible, a wet vacuum with a filter-diffuser exhaust cleaner should be used. If a vacuum is unavailable, a freshly laundered mop is suitable. One mop should be used to cover the floor with disinfectant, and another should be used to remove it. The mop heads should then be sealed in a hamper or plastic bag. After the cleaning is complete, all used cloths should be secured in either a laundry or trash bag that is sealed before being removed from the room and properly disposed. All operating suites, even unused ones need to be cleaned at the end of the day, because staff may have retrieved items from them while working. There are three methods for end of day cleaning; one should be chosen and followed through until the entire room is clean. First, all soiled equipment is placed in the middle of the room. Second, the perimeter of the room is then cleaned and disinfected. Third, soiled equipment in the middle of the room is cleaned and disinfected and moved to the clean perimeter until all items have been processed. First, all soiled equipment is moved to the soiled half of the room. Second, the empty half of the room is then disinfected and items from the soiled side are cleaned and moved to the clean side until everything has been disinfected. First, items in the suite are divided between two or more technicians. Each technician is responsible for specific areas, items and surfaces in the suite. Once the room is cleaned and disinfected, everyone verifies and documents that all items have been processed. Furniture should be scrubbed thoroughly, using mechanical friction. Casters and wheels should be cleared of suture ends and debris and cleaned with a disinfectant. Kick buckets, laundry hampers, and trash cans should be disinfected. Cabinets doors should be cleaned, with attention paid to the contact points. Ceiling and wall-mounted fixtures and tracks should be cleaned on all surfaces. Air intake grills, ducts, and vents should be cleaned. Equipment should be cleaned according to manufacturer directions and care should be taken to not let water or cleaning agents enter the sealed portions of the machines. Linens should be handled carefully, both so as to not send airborne the particles on them. Also, sharp tools may end up wrapped in them. Linens should be carried away from the body to avoid contamination. Waste removal should follow local and state guidelines. In most cases, items that are not saturated or caked with body fluids can be placed into a noninfectious waste container. Items that need to be placed in a sealed, leak-proof container that is labeled properly. Any infectious regulated medical waste (RMW) needs to be placed in a secure area. Make sure that you are familiar with all documentation and procedures before beginning. Improper documentation about procedures as noted above can cause confusion among individuals and can lead to improper disinfection and cleaning. Review all equipment directions prior to cleaning. Many manufacturers will void warranties if instructions are not followed precisely and the equipment is damaged. Do not use aerosols or sprays to disinfect and clean. These agents can land in unintended places and can pose health risks to the individuals using them. Bottles that have flip- or pop-tops or that are poured should be used. Microfiber or disposable wipes can be used but should not be double-dipped. Avoid cross-contamination by keeping all equipment and fixtures in a specific room or area, by wearing gloves, and by following the proper disinfecting and cleaning procedures. Any equipment that is brought into or taken out of the room needs to be cleaned on both entry and exit. Reduce the traffic in and out of the room by making sure that you bring everything that you need into a room and then do not leave until you are finished. The door to the room should remain closed while you are cleaning. In summary, following proper procedures when cleaning operating rooms is vital to maintain the safety of patients. If your in-house cleaning staff is not up to the task, hiring a professional commercial cleaning company like ServiceMaster might be a good idea. Contact us for more information about our health care cleaning services if you are interested.